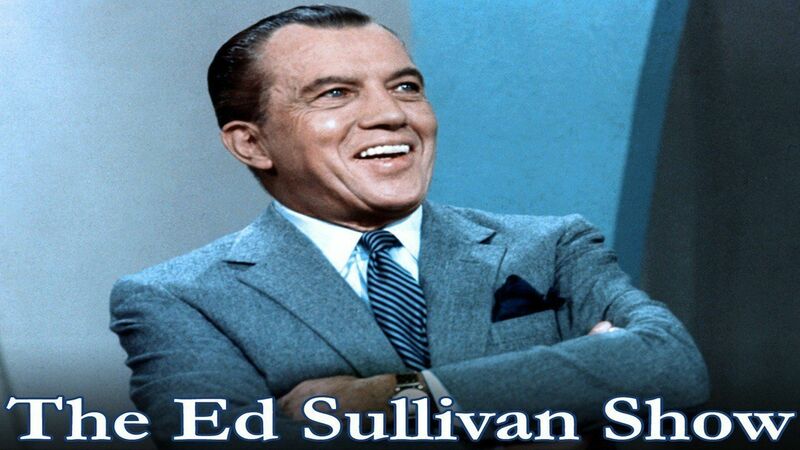 Here's where to watch every episode of The Ed Sullivan Show season 19. Mouseover or tap an episode to see where to stream it. Click or tap the play icon to stream it on the best available service. The Beatles (4th live appearance) / Cilla Black Sep 12, 1965 --The Beatles (on tape, recorded 14-Aug-65) I Feel Fine, I'm Down, Help!, Yesterday, Act Naturally and Ticket to Ride--Cilla Black - Goin' Out of My Head & September In The Rain------------------------------------Guests:--Soupy Sales - talks about Ed's summer vacation. --Cilla Black - September In The Rain--Fantasio (illusionist/ magician) - slight-of-hand artist--The Beatles I Feel Fine, I'm Down and Act Naturally--Steve Rossi - sings Try to Remember--Marty Allen and Steve Rossi (comedy team) - Allen demonstrates different sports that he's tried. Ends with Rossi singing We Love You.--Cilla Black - Goin' Out of My Head--Soupy Sales - The Mouse--The Beatles Ticket to Ride, Yesterday and Help!--Ed Sullivan closing comments, next week's guests, closing titles. Stars of the Circus World (from Munich, Germany) Dec 19, 1965 Stars of the Circus World (from Munich, Germany) Russian Cossacks (stunt trick horseback riding act featuring an 8 year-old girl); Ruppert's Bears (3 bears perform handstands and ride bicycles); Katarina (high wire act); Sembach Elephants (7 elephants form pyramid, line up on hind legs); Kroplins Chimps (trained animal act); Sam And Sammy (man foot juggles his son then spins and flips him with his feet); Rogana (female acrobat); the Schickler Sisters (3 Equestriennes); the Gaonas (4 aerialists from Mexico). 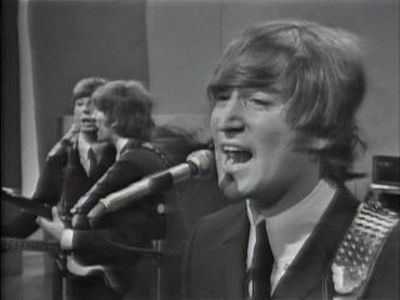 CBS repeated this show on Aug. 28, 1966. Four Seasons / Leslie Uggams / King Family / Brigitte Bardot (on film) Jan 2, 1966 Guests: --Frankie Valli and the Four Seasons - ""Let's Hang On"" and ""Don't Think Twice"" --Brigitte Bardot (on film?) - talks with Ed about her impressions of the U.S. and her film ""Viva Maria."" Ed shows a film clip of Bardot's first Sullivan appearance from 1958. --Wayne & Shuster (comedy team) - portray two inept bank robbers --Leslie Uggams - ""What the World Needs Now,"" ""Yesterdays"" and ""Yesterday"" --Alan King (stand-up monologue) --Jimmy Roselli - ""Give My Regards to Broadway"" and ""Torna"" --The King Family - ""When the Saints Go Marching In,"" ""It's a Grand Night for Singing"" and a George M. Cohan medley. --Bel Caron Trio (adagio dancers) CBS repeated this show on July 31, 1966. Rolling Stones / Hal Holbrook / Ethel Merman / Wayne Newton Feb 13, 1966 Guests: --The Rolling Stones - ""Satisfaction,"" ""As Tears Go By,"" & ""19th Nervous Breakdown"" --Wayne Newton - ""April Showers"" --Ethel Merman - ""Annie Get Your Gun"" medley & ""No Business Like Show Business"" --Hal Holbrook (playing Abraham Lincoln, reciting 2nd Inaugural Speech, anti slave speech) --Sandy Baron (comedian) --Eddie Schaeffer (comedian) --Romanian (Rumanian?) Folk ballet --Audience Bow: Allen & Rossi CBS repeated this show on July 10, 1966. The Supremes / James Brown / 'Shot Of Five' composers May 1, 1966 Guests: --The Supremes - ""Love is Like an Itching In My Heart"" & ""More"" --James Brown - medley of hits: ""Papa's Got A Brand New Bag,"" ""I Got You (I Feel Good),"" ""Ain't That A Groove?"" & ""It's A Man's, Man's, Man's World"" and ""Please, Please, Please."" --Robert Joffrey Ballet (14 dancers) - ""Viva Vivaldi"" --Nancy Ames (singer) - medley of Latin tunes (in Spanish & English): ""Shadow of Your Smile"" & ""Besame Mucho"" --London Lee (stand-up, jokes: love, dating) --Billy Baxter (British comedian with Ed as straight man)--Les Mortales (acrobats from Poland doing pyramids and tumbling) - start as 5 men, finish as 4 men --Mark Reed Jr. (fast draw and quick shooting gun tricks) Shot Of Five segment (composers at five pianos) --Burton Lane - composer plays bits of his popular songs including ""How About You"" & ""What Did I Have That I Don't Have"" --Jimmy McHugh - excerpt from ""On The Sunny Side Of The Street"" --Ray Henderson - excerpts from ""Button Up Your Overcoat"" & ""
The Black Sheep / Harry James / Henny Youngman May 8, 1966 Guests: --The Black Sheep - ""Slow Down"" --Harry James Orchestra - ""Sunday Morning"" --The McGuire Sisters with Harry James - ""Cherry,"" ""You Made Me Love You,"" ""One O'Clock Jump"" --The McGuire Sisters - ""Matchmaker"" --Henny Youngman (stand-up comedian); --John Byner (stand-up comedy, celebrity impressions) --Gordon & Sheila MaCrae (Anthony Newley medley) --Topo Gigio (Italian mouse puppet) --Jean Carroll (comedian) --The Serendipity Singers - ""Monday Monday,"" ""The Shadow Of Your Smile,"" ""What Now My Love""
Simon & Garfunkel (I Am A Rock) Jul 17, 1966 --Simon & Garfunkel - ""I Am A Rock"" New segment added to repeat of the January 30, 1966 show.